Sandpiper is his famous sire's only known offspring. Phantom Wing died as a young stallion leaving only Sandpiper. He was out of a mare named Nora and is listed in the family tree in A Pictorial Life Story of Misty. Sandpiper had to have been foaled prior to 1965, as his sire died in 1964. 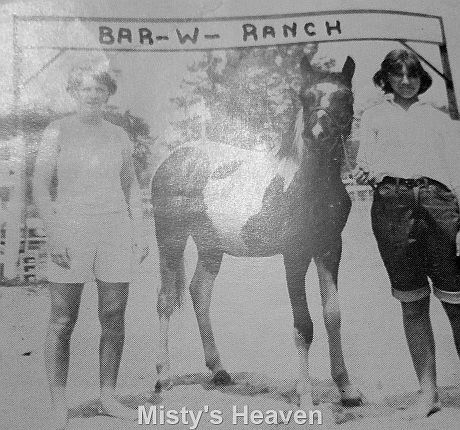 Sandpiper was sold to Cindy and Susan Walker of Bar-W Ranch on Ridge Road on Chincoteague where he gave pony rides to the public.